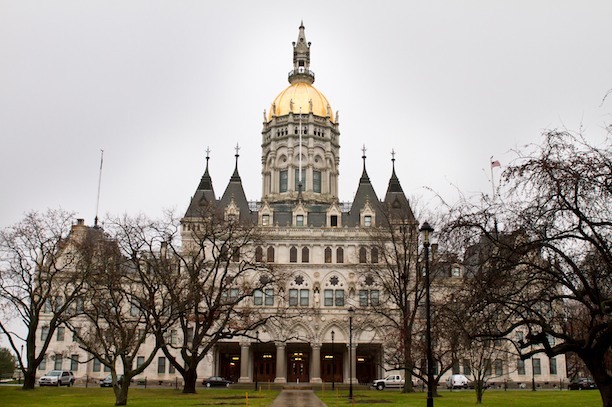 During the fall 2013 semester at Central Connecticut State University in New Britain, Dr. Matthew Warshauer’s History 501 (the Professional Historian) students completed a semester-long project that focused on the monuments and memorials from the Civil War era in and around the state capitol in Hartford, Connecticut. Under Dr. Warshauer’s guidance, the students chose to research a monument or memorial that lived in, or on the grounds of, our state capitol and pertained directly to the Civil War and to the Civil War era. The students dug through archives and discovered original research; they utilized primary and secondary source materials; they photographed, visited, and wrote research papers. The result of their hard work is that 15 monuments now have written histories for the public to peruse and enjoy, and there are 15 more stories in the Connecticut Civil War canon. From hard facts to legends, the students unearthed a trove of 19th-century Connecticut history that you can not only read about, but see firsthand when you visit Hartford. Compiled here on ConnecticutHistory.org, the 15 resources are easily accessed online, through tablets and smartphones, or in person. We here at ConnecticutHistory.org like to publish and highlight student work on our site and would like to extend a special thanks to Dr. Warshauer and his History 501 students for putting in countless hours of hard work to bring Civil War Monuments and Memorials in and around the State Capitol to life for all to learn from and enjoy. If you would like to learn more about Connecticut in the Civil War, please visit our Civil War topics page, pick up Dr. Warshauer’s recently published Connecticut in the Civil War: Slavery, Sacrifice, and Survival, and visit the Connecticut Civil War Commemoration Commission’s web page.